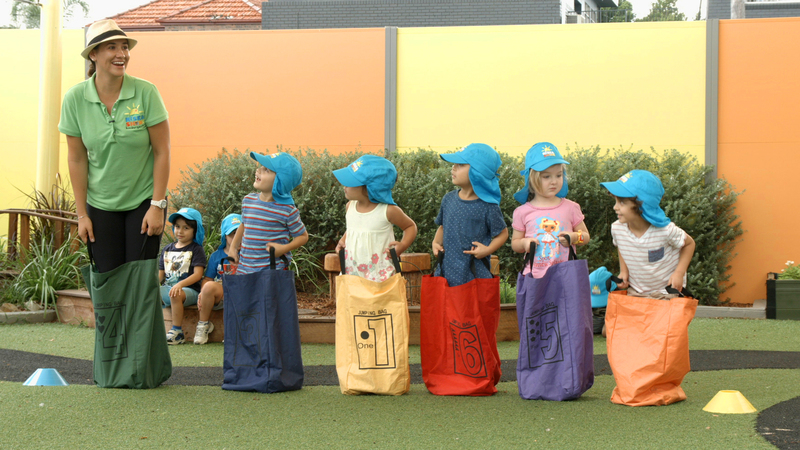 developing social skills and improving confidence. The Fit program supports the recommendations of the National Association for Sport and Physical Education (NASPE), which suggests that preschool-aged children have 120 minutes of physical activity every day. Our fun sports program has been developed by a qualified sports instructor and teaches children valuable skills, such as teamwork and communication. We also offer dance and yoga classes each week, to help children of all ages develop strength, flexibility and balance. 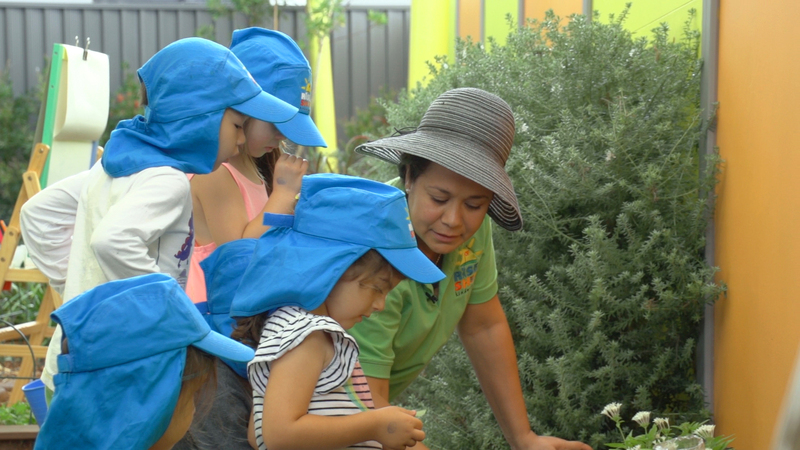 Gardening lessons not only get children outside and moving, but help them develop a love of nature and respect for the environment. We believe it’s important to teach children about the importance of nutrition and encourage them to make good food choices. Our qualified cooks serve home-cooked meals in every Rise & Shine centre, with fresh and nutritious ingredients that give children the energy they need to learn and grow. Our mini bakers cooking lessons give children an opportunity to learn how to make healthy food, with the added benefit of teaching them important math and science skills in a fun and engaging way. 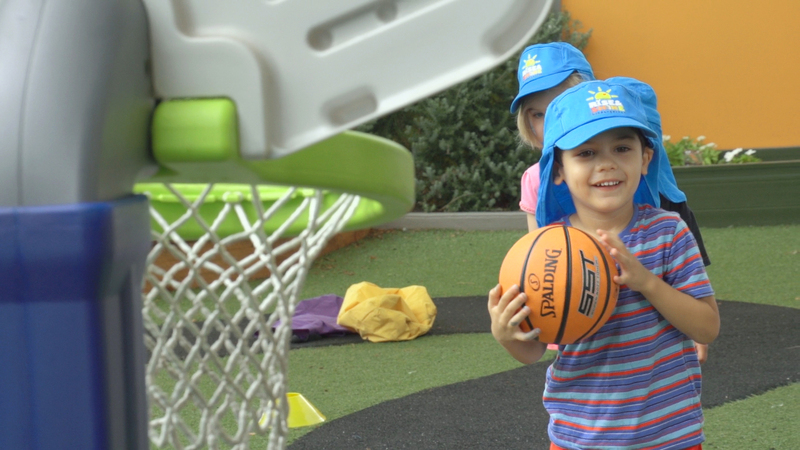 We’re also trained to deliver the Munch & Move program, which is a NSW Health initiative that incorporates active play and healthy eating into learning experiences for young children. We take our role in caring for your child’s health very seriously, which is why we partner with local community healthcare professionals, who visit our centres and teach children about topics such as oral hygiene, nutrition, visiting the doctor and more. Rise & Shine also participates in programs that offer convenient health checks in the comfort and safety of our childcare centres, including the Statewide Eyesight Preschooler Screening (StEPS) program, which offers all four-year-old children a free eyesight test to make sure any vision problems are detected and treated early. The Fit program is tailored to the age and abilities of each child and included in your daily fee. To learn more about our Fit program, contact our educators or book a tour to experience the Shine Advantage.